You Know You Are Having a Bad Day When…. Today was a good day to be outside and get some work done in the garden and around the house. I did make a trip to hunt for seeds and a few other garden supplies. That can always prove to be an interesting challenge. I did discover that I can use a grocery cart for a make-shift walker – at least for a while. I also tried out a recumbent bicycle at a specialty shop here in Fort Collins. I will go back next week to take it for a test run and see if I can add it to my summer exercise program. 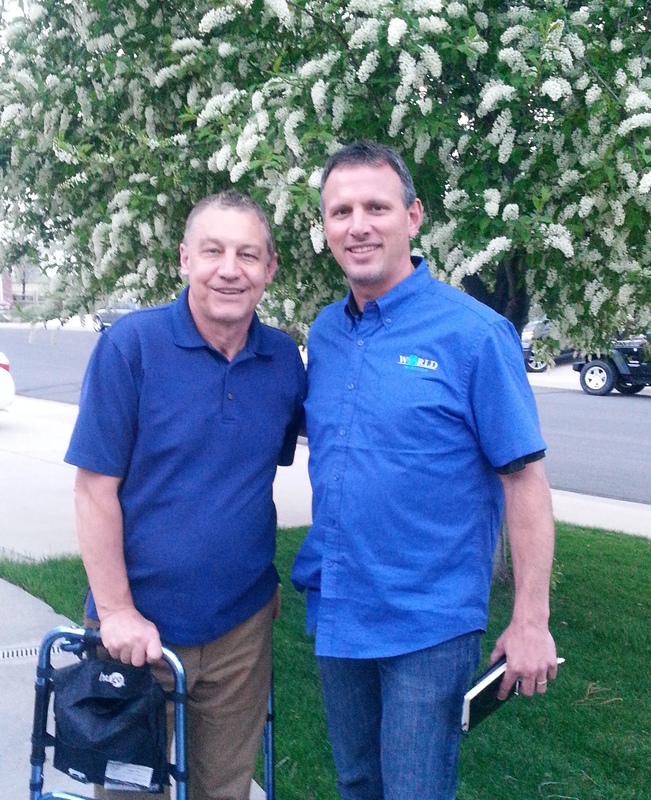 This evening we had an enjoyable time getting acquainted with Greg Kelley, CEO of “World Mission” from Michigan. Their unique focus is a solar powered, audio scripture portion distributed to countries in the 10/40 window, and unreached peoples groups, where there are multitudes of oral learners. (check out – http://thetreasure.org/) Greg is a friend of Paul and Collen Irwin who we have known for years. Also, a friend of Greg’s and one of his board members is the Lead Pastor of Shoreline Church in Monterrey, California, which is my brother’s home church. You know you are having a good day when you can relate to these words of Job. Job as he deals with his misery and less than comforting “comforters.” Every simile Job could think of related to the difficulties of life, he lists as a description of his misery. Job has already expressed the desperation of his suffering when he said, “Why won’t God give me what I ask? Why won’t he answer my prayer? If only he would go ahead and kill me! If I knew he would, I would leap for joy, no matter how great my pain.” (Job 6:8-10) We can be thankful that the Lord doesn’t answer or respond to some of our prayers that are prayed out of the pain or anger of the moment. What is important for us to remember is, that intense pain and suffering, solicits intense, but not always truthful or logical responses. That is important to understand for ourselves and for others going through trials. The solutions and the “quick end” of suffering while it is often sought, is not the best solution. Every day of suffering is one day too long. But in the end we see God’s faithfulness and the time of hardship and suffering will fade into the timeline of our story. We do need to rest in the fact that, “our times are in His (God’s) hands.” (Psa. 31:15) We need to have our eyes open to the provision of the Lord even in the midst of our trial or difficult situation. The Lord understands our mind and emotions and we see that He is faithful to sustain and redeem. We don’t need to fear times of feeling separated from God or thoughts or emotions that emerge from the time of suffering. God is there when we don’t “feel” like it and He does not hold our thoughts and emotions against us. That is why perseverance is the character quality that is so important in times of trials.